Varicose veins are abnormally enlarged, swollen veins that occur most often in the legs. They are the result of a breakdown of the valves inside the veins that allow blood to flow back to the heart. If the valves do not work properly, blood accumulates in the veins, stretching them and causing these ugly protrusions. Because lack of circulation contributes to the formation of varicose veins, they are common in people who sit for prolonged periods of time without movement. You will find that these people sit with their legs crossed and don't get adequate exercise. People who eat foods that have a lot of preservatives in them also seem prone to getting varicose veins.There are some useful things you can do to improve this condition. • Take Co-Enzyme Q-10 every day. • Drink freshly squeezed fruit and vegetable juices daily. 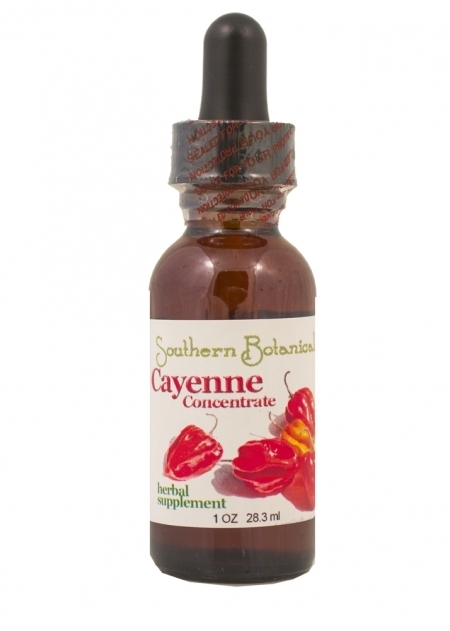 • Have Cayenne Pepper Blend or Cayenne Tincture to help increase circulation. • Rub castor oil on your legs and keep it on overnight. You can cover your legs with Saran wrap to protect your sheets. • Make sure you exercise 4 times a week. • Have a full body massage at least once per week. • Do not sit with your legs crossed. This could block circulation. • Avoid sitting or standing for lengthy periods. • Avoid foods that contain preservatives. • Do dry skin brushing. Use a skin brush or a loofah and brush your skin before taking a bath. This improves circulation and helps the body to break up stagnation. It also helps to improve the functioning of the skin. Spider veins appear on the face and the legs. This condition can come about from a vitamin C deficiency. Also when one uses very hot water on one's body these spider veins may appear. There are several things one can do to help. • Make sure you do not use very hot water on your body. 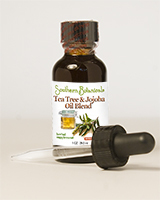 • You can rub Jojoba&Tea Tree Oil onto the affected areas. • You can do an artery function self-test to find out how well the blood is flowing through the arteries of the legs. There are three places in the lower leg where pulsating arteries can be felt by lightly touching the skin covering the artery. One spot is behind the knee, the second spot is on top of the food and the third is in the inner area by the ankle. Apply pressure to the skin in these areas where the pulsating artery can be felt. If you cannot find a pulse, it is an indication that the artery supplying the leg is narrowed (the artery wall is heavily coated). The first thing to do is to go thorough all the foods you have in your kitchen and throw away the foods that have preservatives in them - especially the oils. Most oils have preservatives or "stabilizers" in them unless the bottle specifically states that there are no preservatives added. Throw the offenders away. • Eat food rich in vitamin E daily. • In the areas where you have blocked arteries, rub castor oil on your skin and leave on overnight as described above. • Increase your circulation by exercising daily. 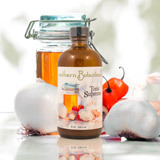 • Herbs that will improve circulation include cayenne, garlic, ginger, horseradish. All are used in Tonic Supreme, some in Ginger-Mint Tea. It would be wise to do a full internal organ cleanse.